Welcome to the April 25, 2018 edition of ACM TechNews, providing timely information for IT professionals three times a week. Researchers at Korea's Yonsei and Chung-Ang universities have developed a molybdenum disulfide (MoS2) transistor that can be used in bendable OLED displays. 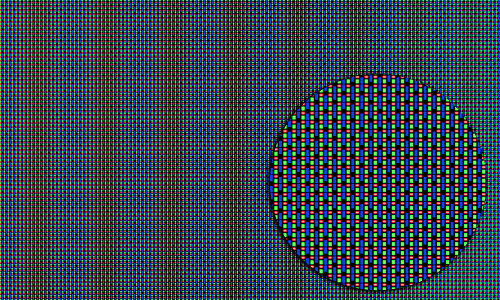 The researchers had to overcome the problem of resistance between the MoS2 and a transistor's source and drain electrodes to create the operational bendable six-by-six-pixel array. The researchers placed the transistor between two layers of aluminum oxide instead of on a piece of silicon dioxide. The interface between the two materials enhanced the flow of electrons into the semiconductor, which overcame the resistance, one of the major problems other researchers have faced in trying to create a truly bendable smartphone, television, or other screen-based device. Hong Kong Polytechnic University (PolyU) and Monash University in Australia, with the support of Australian investment firm Collinstar Capital, have established Hong Kong's first joint research laboratory on blockchain and cryptocurrency technologies, in an effort to enhance blockchain efficiency while guarding against attacks from quantum computing. PolyU's research team will work to improve blockchain efficiency while addressing privacy and security concerns. The team will work to refine security technologies such as Linkable Ring Signatures and Zero-knowledge Proof, which enable efficient verification of the validity of online transactions without leaking private information. The team also will develop systems that protect today's computers from attacks by quantum computers. In addition, the researchers will create mechanisms for introducing capabilities such as setting spending and transfer limits, revealing identity under court order, and suspending accounts involved in suspicious transactions. Scientists at the Agency for Science, Technology and Research (A*STAR) Genome Institute of Singapore (GIS) have developed new machine learning systems to accurately identify cancer mutations. The researchers used the new methods to discover new mutations in non-coding DNA that may cause gastric cancer. In addition, the new models can be used by scientists to understand the impact of mutations in non-coding DNA in other cancer types in just a few months, rather than the 30 years previously required. The A*STAR researchers created two machine learning methods to scan the entire genomes of 212 gastric cancer tumors. The team used computer clusters at GIS and the National Supercomputing Center Singapore to uncover several new cancer-associated mutation hotspots within the genome. In addition, the research revealed new evidence that mutations in non-coding DNA may cause cancer by altering the three-dimensional genome structure. "We focus on computational and data-driven approaches to study the root of cancer so as to develop better strategies to combat it," says A*STAR researcher Anders Skanderup. Researchers at Aalto University in Finland recently examined more than 2.7 billion tweets posted between 2009 and 2016, and found that Twitter users are exposed mainly to political opinions that agree with their own. The results indicate a strong correlation between biases in the content people both produce and consume, leading the researchers to conclude that echo chambers are very real on Twitter. Said Aalto’s Aristedes Gionis, “An echo chamber exists if the leaning of the content received by Twitter users is in par with the leaning of the content they share.” The study identifies three main roles for Twitter users: partisan users who both consume and produce content with a one-sided leaning; gatekeepers, who have a central role in the formation of echo chambers; and bipartisan users who produce content with both leanings and try to bridge echo chambers. The researchers developed machine learning algorithms to predict the roles of users in several data sets. The team was able to predict partisan users with nearly 80 percent accuracy and gatekeepers with 70 percent accuracy based on their tweets and network. Researchers at the University of Calgary in Canada have found that adding just a few automated vehicles to the traffic pattern will positively influence all traffic flow, resulting in faster, smoother commutes for all drivers. Automated vehicles influence traffic with their good behavior, because they maintain the ideal distance from other vehicles and ideal speed for each situation, which in turn influences the driving habits of human-controlled vehicles in the area, according to the researchers. 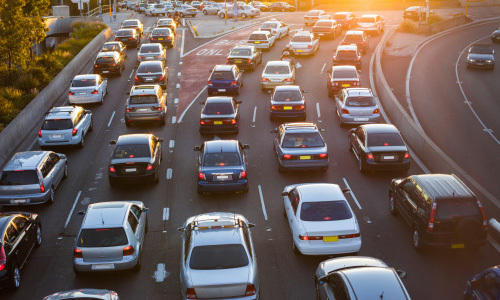 The researchers focused on Anticipatory Adaptive Cruise Control (AACC) systems, and found that just a few cars equipped with this technology will make a noticeable difference on commuter frustrations like bottlenecks. For example, an AACC-equipped vehicle can react to changes in traffic in just 1.5 seconds, compared to 2.7 seconds for manually-driven cars. Approximately 48 percent of U.K. manufacturers admit they have experienced a cybersecurity incident, with about half of them claiming to have suffered financial loss or disruption to their business as a result, according to a recent survey report published by manufacturers’ organization EEF in partnership with insurance firm AIG and the Royal United Services Institute (RUSI), the world's oldest independent think tank on international defense and security. The survey of nearly 170 U.K. manufacturing businesses found that although 91 percent of respondents are investing in digital technologies, 35 percent believe cyber vulnerabilities are keeping them from doing so fully. Cybersecurity maturity levels were rated as "highly varied" throughout the U.K. manufacturing sector, according to the report, both in terms of awareness of the challenge and the implementation of appropriate risk mitigation strategies. Although the government is taking important steps to improve national cybersecurity resilience, to date no priority has been given to the specific needs of the manufacturing sector. Organizations should take a key performance indicator (KPI) perspective to cybersecurity by setting goals and metrics, according to Tim Bandos of digital loss prevention solution provider Digital Guardian. University of Toronto and Autodesk researchers have developed augmented reality technology that will help artists transform two-dimensional (2D) drawings into three dimensions (3D). The team created SymbiosisSketch software, which combines 2D and 3D sketching capabilities for detailed design of 3D objects. After a user makes a 2D sketch on a tablet equipped with the software, an augmented reality headset can be used to bring the drawing to life in a 3D augmented view. The researchers are currently looking at using the software, SymbiosisSketch, for state-of-the-art 3D sketching and fabrication; future applications could include animation and storyboarding. The researchers presented the project this week at the ACM CHI Conference on Human Factors in Computing Systems in Montreal, Canada. Researchers working on the European Union (EU)-funded COSSIM (A Novel, Comprehensible, Ultra-Fast, Security-Aware CPS Simulator) project have created a software framework to help developers better design integrated mechanisms of computation, networking, and physical processes. The open-source framework seamlessly simulates the networking and processing parts of cyberphysical systems (CPS), as well as cloud and high-performance computing (HPC) systems. Danilo Pau, senior member of the technical staff at STMicroelectronics and one of the partners in COSSIM, says the Internet of Things market needs artificial intelligence functionalities to leverage its growth potential. A powerful CPS and cloud simulator can help system designers simulate much more effectively than with traditional methodologies, says Pau. The COSSIM simulator will enable the open-source framework to carry out simulations orders of magnitude faster. COSSIM will simulate two real-world applications from different domains to demonstrate all CPS features in highly demanding commercial environments, the researchers say. Korea Advanced Institute of Science and Technology (KAIST) researchers have developed a computational framework that uses a deep neural network to predict drug-drug interactions (DDIs) that could lead to adverse drug events (ADEs). The DeepDDI computational framework predicted 86 DDI types for a given drug pair with a mean accuracy of 92.4 percent. 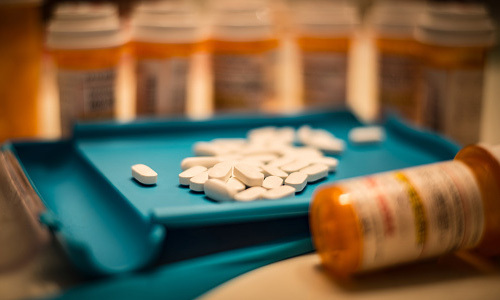 The framework generates DDI types in the form of human-readable sentences, which describe changes in pharmacological effects and the risk of ADEs as a result of drug interaction. Initially, DeepDDI was used to forecast DDI types of 2,329,561 drug pairs from all possible combinations of 2,159 approved drugs, leading to new predictions of DDI types of 487,632 drug pairs. The framework also suggests foods to avoid during medication, potential causal mechanisms for reported ADEs, and alternative drug candidates for problematic drug pairs. KAIST professor Sang Yup Lee says DeepDDI will enable "precision medicine in the era of Fourth Industrial Revolution." A research team including scientists from the Moscow Institute of Physics and Technology (MIPT) and ITMO University in Russia has proposed a method for boosting the efficiency of wireless power transfer over long distances, and tested it with numerical models. The researchers transmitted power between two antennas, one of which was excited with a back-propagating signal of specific amplitude and phase. "Power transfer can indeed be enhanced by transmitting a portion of received power from the charging battery back to the receiving antenna," says MIPT's Denis Baranov. The team numerically simulated a 5-centimeter-long dipole antenna coupled to a power source and irradiated it with 1.36-GHz waves. The energy balance was maximized for a zero phase shift between the signal and the incident wave, which the researchers explained by noting the effective aperture of the antenna was enhanced by the auxiliary signal so it collected more propagating energy into the cable. Amazon Web Services (AWS) and Microsoft Azure are increasingly popular as cloud Internet of Things (IoT) platforms, according to a developer survey by the Eclipse Foundation, an organization whose goal is the creation of an open IoT. The poll of 502 individuals between January and March of this year found 51.8 percent of developers named AWS their preferred IoT cloud platform, followed by 31.2 percent for Microsoft Azure. Google Cloud Platform users accounted for 18.79 percent of users surveyed, a decline from 2017. "There's clearly cloud growth for IoT and public cloud is the predominant scenario," says Eclipse Foundation executive director Mike Milinkovich. In addition, public cloud platforms are gaining over private cloud and on-premises IoT deployments. Other notable findings include the discovery that time series data is the most collected data type, followed by device information and log data. Meanwhile, the lead IoT issues cited by those polled were security, data collection and analytics, connectivity, and hardware integration. Furthermore, survey respondents said they are working most frequently on building IoT platforms, followed by home automation systems, industrial automation, smart cities, energy management, and agriculture. A team of researchers from the Max Born Institute in Berlin, Germany and the Moscow-based Russian Quantum Center used short laser pulses to gain insights on novel information-processing materials and technologies with optoelectronic circuits. They struck the material with extremely short laser pulses, observing how its electrons were excited and released resonant vibrations at specific frequencies, as harmonics of the incident light. "By analyzing this high harmonic spectrum, we can observe the change in the structural order in these strongly correlated materials 'live' for the first time," says the Max Born Institute's Rui Silva. The researchers determined in certain instances only a single oscillation of light is required to disrupt the electronic order of a material and convert an insulator into a metal-like conductor. "If we want to use light to control the properties of electrons in a material, then we need to know exactly how the electrons will react to light pulse," says the Max Born Institute's Misha Ivanov. 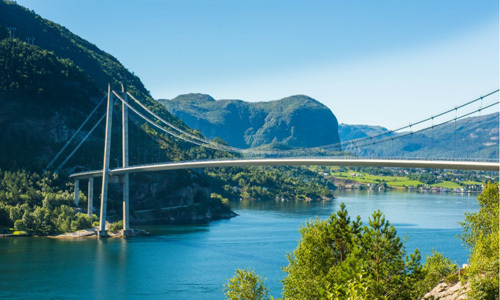 Researchers at the University of Surrey in the U.K. have developed an algorithm that compresses large data from bridge monitoring systems into more manageable sizes. The researchers used a dictionary learning method called K-means Singular Value Decomposition to compress data from the Bridge Weight-in-Motion system, which monitors the Leziria bridge in Portugal. The team applied the new algorithm to 45,000 data per channel per hour received by the bridge’s monitoring system, and reconstructed the information with less than 0.1 percent of the data lost. "We believe that this approach shows that you can dramatically reduce the large data into a much manageable size without losing information—which is critical to structural engineers," says University of Surrey researcher Ying Wang.